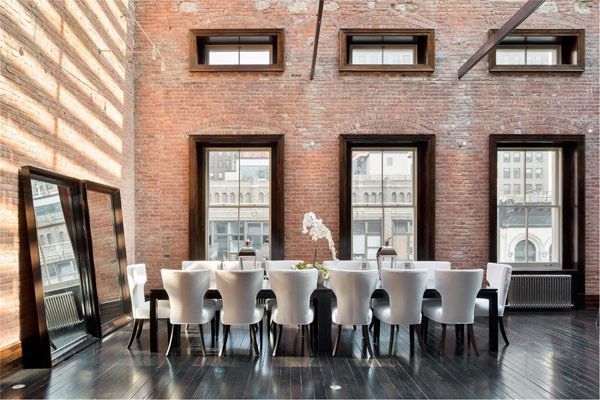 my friend leslie sent over the link to this $50 million, 11,000 square foot mansion of a loft in tribeca. can we just talk about that exposed brick? and those windows? i mean, no one needs a private gym (let’s be real), but i could sink into those leather chesterfields and do some MEAN reading.